BAPS Charities Atlanta hosted its Children’s Health & Safety Day on August 8, 2015 in Lilburn, GA. In addition to supporting First Lady Michelle Obama’s Let’s Move campaign and the We CAN! initiative on which the program focused in 2013, this year’s event supported the National Institute of Health’s Media Smart Youth campaign, encouraging youth to “Eat, Think, and Be Active!” The theme focused on the increasing influence of media on youth lifestyle and habits, in shaping their values about nutrition and physical activities, and provided youth with knowledge and tools to use technology wisely and become “media smart” as they navigate what is healthy and unhealthy. A total of 30 volunteers and healthcare professionals welcomed 126 participants including youth, parents, and caretakers. 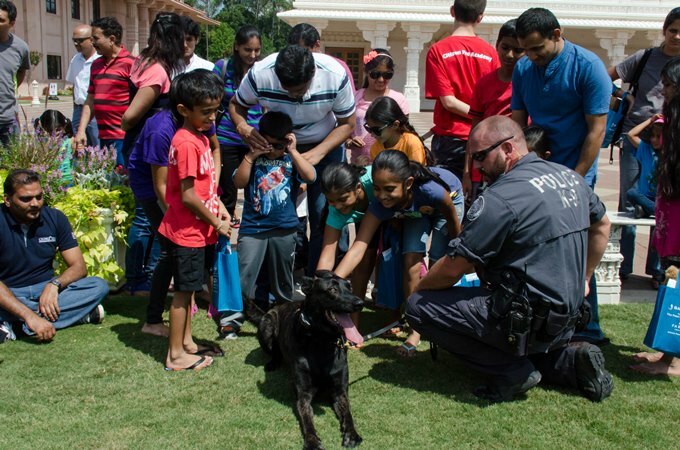 There were interactive learning workshops, scenario-based simulations, and opportunities for youth to engage in conversations with firemen, police officers, doctors, and other professionals they may have once feared. 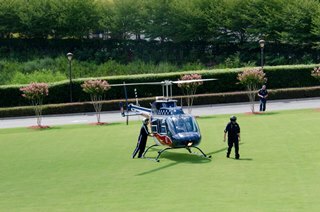 Through a close-up tour of emergency vehicles ranging from fire trucks to an EMS helicopter, the youth were also given a well-rounded overview with tips from these emergency responders. The curriculum throughout the day allowed the youth to understand how the media plays a major role. Through interactive sessions they were encouraged to think critically when watching advertisements, reading labels, and more. Learning while having fun with their peers, children are more likely to consider eating healthy, becoming more active, thinking critically, and making healthy lifestyle choices. Meanwhile, parents and caretakers were in separate learning sessions to explore best practices in reinforcing and integrating many of the topics their children were getting to learn. 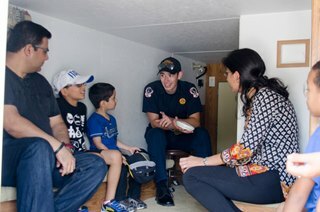 The booths that taught children on proper dental hygiene, fire safety, and seatbelt safety impressed parents. In 2015, the local center is one of twenty-two participating centers in North America to partake in this program. The event encouraged the whole family to live a healthier, safer, and more united lifestyle. Each family that attended walked away with a unique and personal experience, which would encourage them to generate positive habits.